Build your own -or- we can build you a custom site! 100% FREE Construction Job Leads! Signup, Login, Build you FREE Directory Listing! Responsive clean custom websites & templates for contractors. A mandatory powerful tool for tons of local traffic to your contractor website. Monthly links packages to build your off-page SEO Backlinks strategy. Industry-specific SEO services for contractors & construction companies. Affordable advertising on our website. 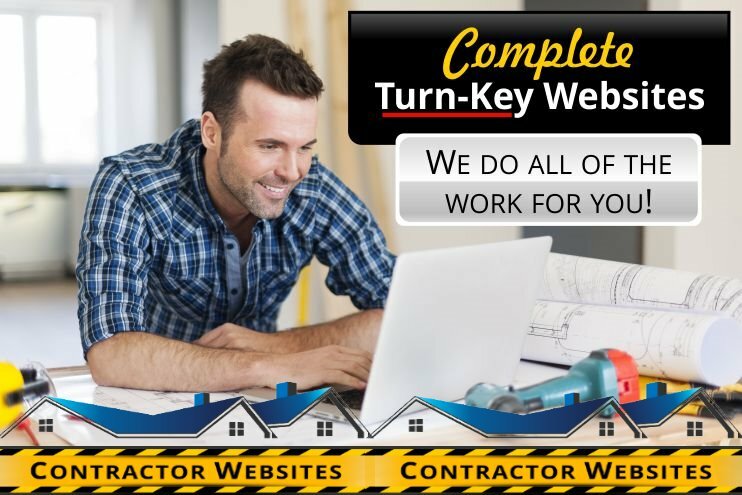 Advertise your contractor website locally. Test Drive our DIY website builder. We have the best templates in the industry! If you are a contractor you should have a well-designed websites to attract more clients and get free job leads. We can help you with this. Our website design services offer both a (DIY) Do-It-Yourself website builder that you can build your own website on |or| we have a full Turnkey service where we do it all for you. Visit our Contractor Website division to learn more, see examples and to get all the pricing. We also offer the best SEO services available for Contractors! CONTRACTOR WEBSITES | VISIT US NOW! CONTRACTORS LIST YOUR COMPANY TODAY FOR FREE! HINT: When you signup for your FREE full page ad, list as many services that you do. This will give your company better exposure and you will show up in more searches by home owners and companies that are looking for your services. SIGN UP NOW - IT's 100% FREE - NO CREDIT CARD NEEDED - CLICK HERE NOW! Need a Custom Website Design for your Construction Company?